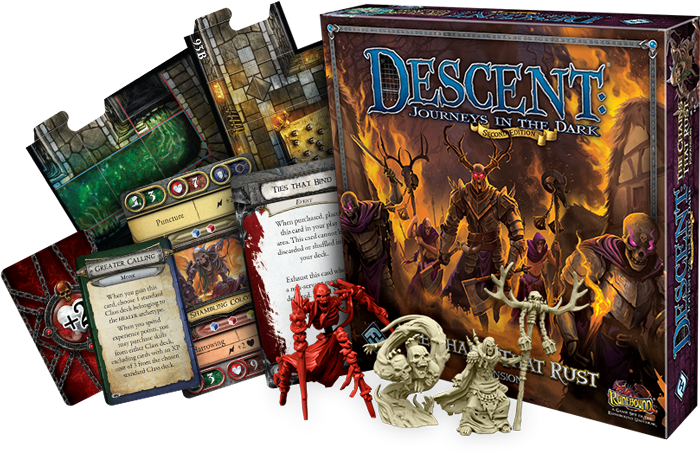 Descent is a one-vs-many game. While most players take on the role of a hero, one gets to play as the Overlord. They're basically the "Dungeon Master" player. But unlike an RPG, they're not out there to just tell a good story for the players, they're there to win! Well, in The Chains That Rust, the new expansion for the game coming out soon, the Overlord player gets a powerful, new weapon to unleash on the heroes. That weapon is The Scourge. Usually, when heroes kill of a monster, it's just dead and gone. The Scourge, though, gives the Overlord a chance to bring that monster back. And it's not just brought back as it was. It gets a whole group of new abilities. Mostly, it will cause heroes to exhaust more easily. That'll slow down the heroes and give the Overlord more time to work their nefarious schemes. Sure, this new monster can also be taken out, but the Scourge card will remain, always there to give the Overlord player an option to bring back more in order to harass the Heroes. 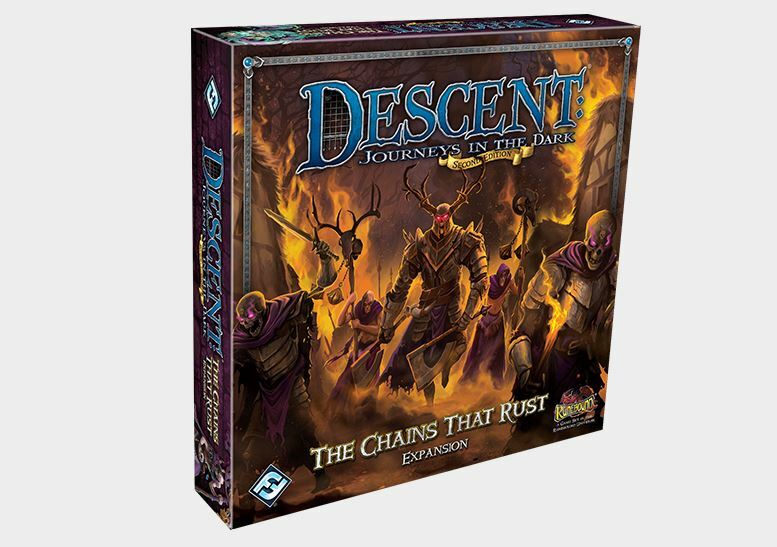 The Chains That Rust is just about ready to hit shelves. Pre-orders are being taken now.